I recently put on a disc from this new 11-disc Willem Breuker Kollektief retrospective, and my wife quickly acknowledged that, while the musicality was impressive, she never wanted to hear the group again. This was disc 6, Umeå 1978, a previously unreleased concert features the group in one of its many peaks, playing classics like “Antelope Cobbler” and “Florida.” The fact is, this was her first exposure to Breuker, and it’s not an easy one to jump into. For all the density of his composed music (more on that in a bit), the jam-packed, theatrical live performances by the Kollektief can be difficult to follow if one is just coming and going from the room, tackling various chores, and attempting to have casual conversation with one’s spouse. That said, Out of the Box, as a whole, is a really fantastic primer of mid-to-late career Breuker. At least five of the 11 discs on Out of the Box contain previously unissued recordings. In addition to the Umeå set, there are two discs featuring Breuker’s radical score to F. W. Murnau’s Faust and two discs from the group’s 2012 tour, following Breuker’s death in 2010. The remaining seven discs are compiled from various releases, some of which are now out of print, organized into thematic groups: Big Chunks, Songs and More, Plays and Movies, Heibel / Fuss, and Strings. The final disc, Angoulême 1980, compiles highlights from a Fou Records double-disc release. 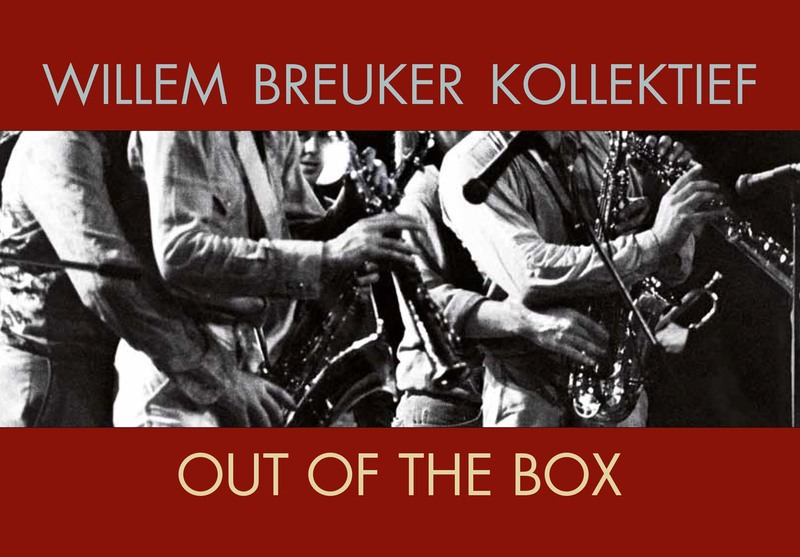 Out of the Box makes a strong case for Breuker as a preeminent composer and arranger. Much can be made of the remarkable “Rhapsody In Blue” from Strings, but Songs and More features a 12-minute reading of “Night and Day” that must absolutely be heard to be believed. With knowingly torch-song vocals by Greetje Kauffeld, the Kollektief pivots from nightclub backing band to free swingers for an extended middle section. Here, it’s followed by Kurt Weill’s “Song of Mandalay” and a fabulous rendition of Breuker’s own “Potsdamer Stomp,” with strong soloing by trombonist Bernard Hunnekink. It’s Hunnekink, along with bassist Arjen Gorter, who compiled this set, and their work is to be commended. In keeping the Kollektief alive, they’ve not only continued to release new albums, but they kept touring and playing live through 2012, a final tour captured on Happy End I and Happy End II. The two sets that make up Happy End showcase a band that, for nearly 40 years, took on the high-wire feat of performing Breuker’s music. The breakneck speed and Dadaist mashup of Breuker’s music live and breathes here, beginning with the one-two punch of “Husse II” and “Steaming,” and extending into the “To Remain” suite, and deep cuts like “Ricochet.” If these final shows were meant to serve as a kind of honorific, there’s no diminishment of the playful theatricality that reigned throughout the Kollektief’s history. “Hallo, Hallo,” with its cheeky tempo change and ringing phones, is a particularly fun highlight. But the strongest of all highlights may be the two-disc score to Murnau’s Faust, originally released on DVD in 2005, the score has not previously been widely available in an audio format. It’s a magnificent work, with Breuker stretching out, stitching together folkish rhythms, Tin Pan Alley melodies, carnivalesque modes, Weill and Berg references, and a range of pop, jazz, funk, and rock motifs. It’s a heady mix, a total trip. I’ve never watched the film synced with the score, but I understand Breuker uses a lot of odd juxtapositions between sight and sound. But, knowing Breuker’s music, I wouldn’t have expected anything less. One of his greatest accomplishments was combining humor and music, bringing an ironic slant to a sometimes self-congratulatory intellectual music. Breuker brought all his intellect and training to bear on his riotous and clashing compositions. There is richness and depth in the many interpolations that combine to make a Breuker score. Out of the Box celebrates all of the different expressions of this, extended, brief, majestic, kitschy, and seriously fun. Available direct by mail order.